Have you ever even thought of the child exploitation behind some of the foreign brand garments you wear? 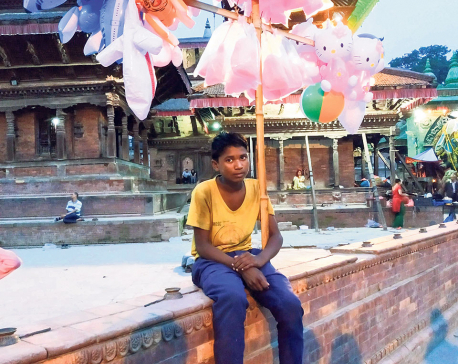 We see child labor in myriad manifestations around us and across the globe. Contrary to popular perception, it is not a malaise confined to the least developed and developing countries. It is very much in evidence in the developed world too, though not always in the conventional business context. It exists there in more sordid forms like child prostitution and pedophilia. The difference is that the child victims are from poorer countries and their clients are almost entirely the rich and the powerful of the so called advanced world. So much for enlightened advancement! But I would not like to digress from the International Labor Organization’s theme for 2016. Let’s tackle it businesslike. Few would differ from ILO’s diagnosis and prescription. But is that the whole truth? Partial truth can often be not just misleading but also potentially dangerous. It is obvious from ILO’s 2016 theme that the child labor challenge involves the entire corporate world globally. Bigger the corporate, higher its culpability! The human supply chain, which keeps the big business raking in obscene profits today, is anything but humane. 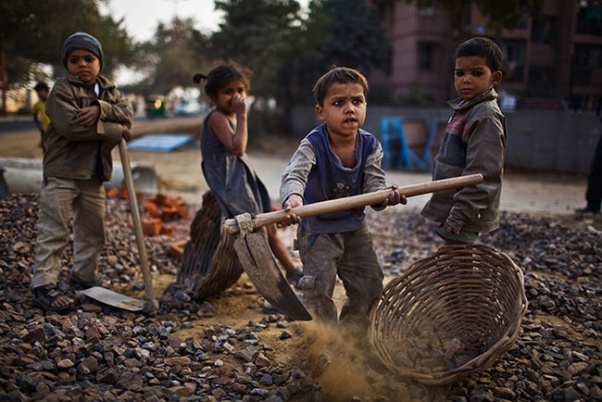 We know that almost all countries have a plethora of rules and regulations against child labor. Implementation, sadly enough, is a sorry affair. That is why we find helpless children sweating it out in homes, shops, farms and even shop floors of organizations supplying cheap goods to be retailed at mind boggling prices by crème de la crème of global business. We need an explanation. Who better to offer it than Kailash Satyarthi who was awarded the Nobel Prize in 2014 for his exemplary work aimed at eradicating child labor? “The greed of the companies is the biggest pull factor for child labor. Push factors are poverty, ignorance, social discrimination, gender bias, and lack of opportunities, lack of basic amenities and lack of livelihood. But the pull factors include, first of all, the greediness of employers; secondly, employers look for the cheap docile labor, and children are the cheapest and the most docile labor…Parents and children have no option in such cases. So when the push factors and pull factors are combined together, children are the worst victims of this situation,” says the Nobel laureate. But some may ask what will happen to ‘economic development’? “It would be a shame if anything on this planet, right from crops to computers, is produced at the cost of childhood, freedom of children and their education. I think it is unacceptable,” Satyarthi makes it clear. But are we indulging in unjustified corporate bashing? I don’t think so. Known for its independent journalism and liberal values, the UK’s reputed daily, The Guardian, reported in September 2015 that children younger than 15 continue to work at cocoa farms connected to Nestle, more than a decade after the global food company promised to end the use of child labor in its supply chain. The Fair Labor Association, commissioned by Nestle itself, detected these violations in Ivory Coast, the world’s largest producer of cocoa. Instances of forced labor without salary were also discovered. Nestle has faced similar allegations earlier too. But then it is part of the US $100-billion chocolate industry! Who dares touch it? The Guardian report disclosed that noted human rights lawyer Terry Collingsworth had, in 2005, filed a lawsuit against Nestle, Cargill and Archer Daniels Midland, alleging that the companies gave substantial assistance to plantation owners who used forced child labor. “In court documents, the three plaintiffs claim that they were trafficked from their homes in neighboring West African countries and put to work on plantations on Ivory Coast. They describe how they were whipped, beaten and forced to work for 14 hours a day before retiring to dank, dark rooms without windows to rest. 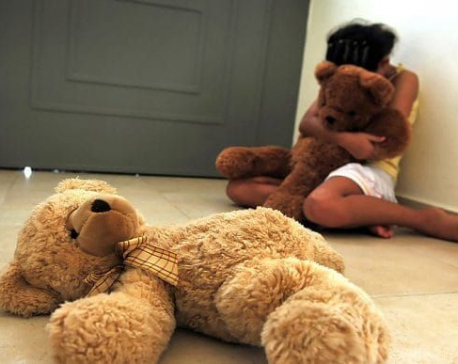 One plaintiff, referred to in the case as John Doe II recounted how guards would slice open the feet of any child worker who were caught trying to escape,” the newspaper stated. Collingsworth feels allowing the companies to act ‘voluntarily’ to clean up their problem has not, and will not, work. According to September 2015 issue of Harvard Business Review, 12-year-old children have fallen prey to acute nicotine poisoning working in tobacco farms in a country no less than the US. This despite industry-supported initiatives by tobacco biggies like Phillip Morris, Altria, British American Tobacco, etc. that account for a significant part of the world’s tobacco supply chain! Have you ever even thought of the child exploitation underlying the foreign brand garments you are wearing? ILO claims that child labor has declined by 30 percent between 2000 and 2012 yet 11 percent of world’s children are still toiling in several developing countries to satisfy the high fashion demands for consumers in Europe, the US and beyond. Top fashion labels are always seeking the cheapest sources of labor. Though organizations like Fair Wear Foundation, Fair Trade Label Organization, Global Organic Textile Standard and Ethical Trading Initiative are supposed to prevent use of child labor, several surveys show that there is little transparency in the operations of the agents of big fashion houses. Center for Research on Multinational Corporations and India Committee of the Netherlands have exposed this sham in garment sweat shops in southern India. The slavery stunned them. But fashion MNCs continue to make merry. In countries where every working hand is forced to work for the family’s daily meal, where education does not guarantee livelihood and where governments merely frame fancy legislation but fail to create social security networks for the needy, there seems no end to child labor. The greedy West will keep preaching about human rights even as it makes the most of our misery. This has to change. And it shall. Let us be the change we want to see in others. Say no to child labor. Create conditions for a happy childhood for all. The author is a poet, writer and also Chairman of Bhuramal Lunkarandas Conglomerate. Views are personal.